Please solve fully I can't understand this chapter. There is a better approch to solve such problems. 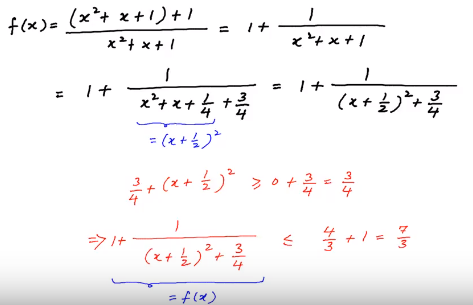 convert the above equation into a quadratic equation in which cofficient of the equation are in term of y i.e f(x). Since x belongs to real numbers.